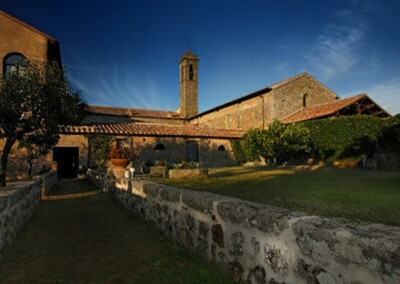 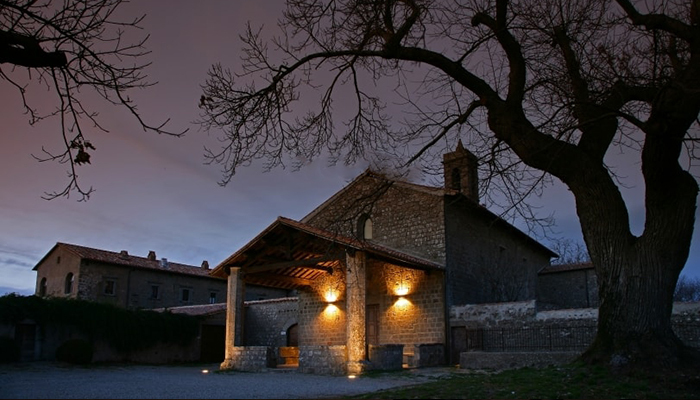 A medieval monastery, a historical building located in the heart of Piancastagnaio, village on Mount Amiata in southern Tuscany. 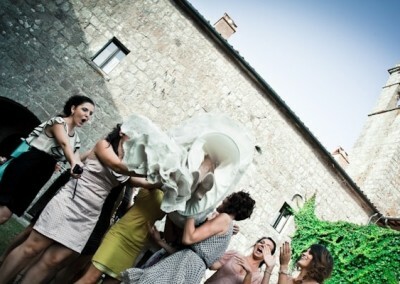 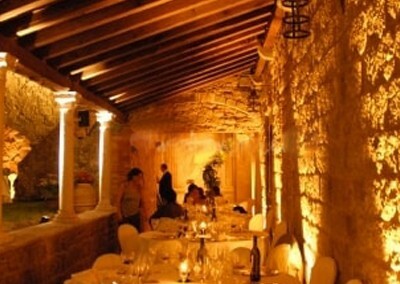 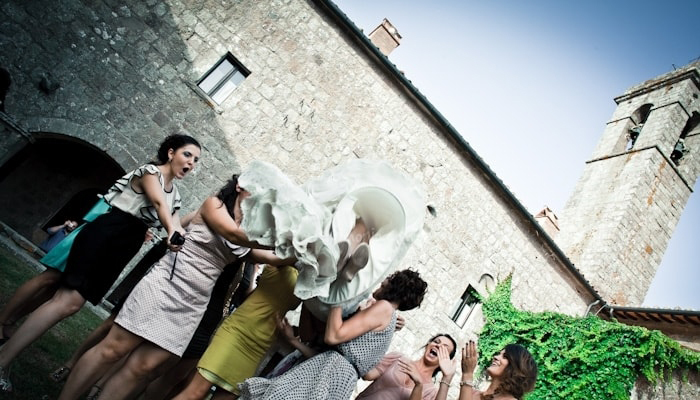 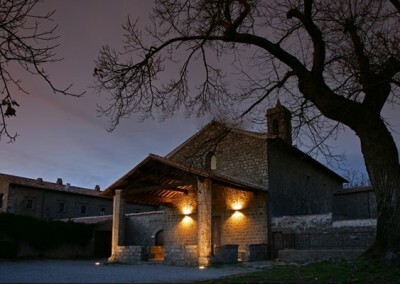 This old convent is the ideal place to host your wedding and make it unique and memorable. 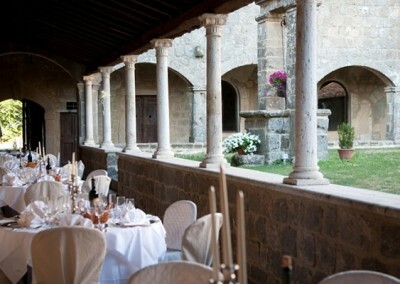 The monastery offers open spaces and cozy rooms indoors in case of bad weather, and the chance to celebrate directly there civil, religious or symbolic marriages, in the adjacent church, in one of the old rooms or in the garden. 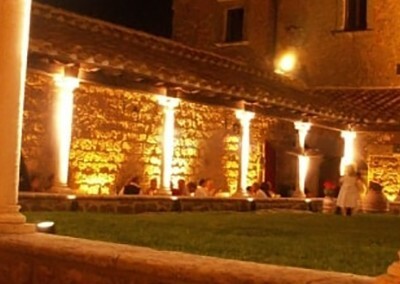 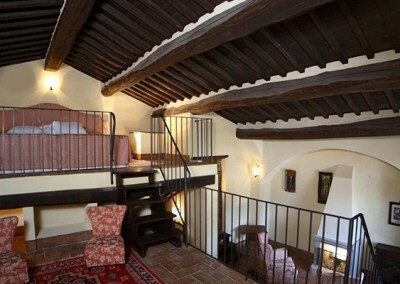 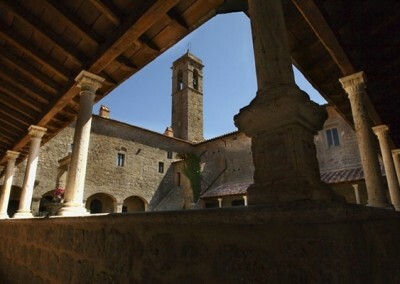 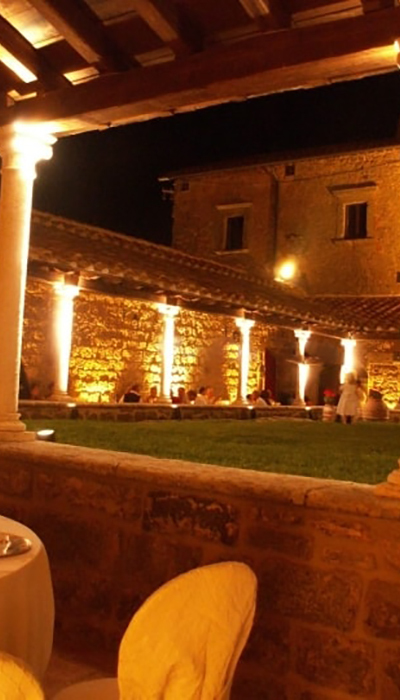 The structure winds around a large cloister of 400 square meters with columns and wooden roof, which connects the two gardens: the old Garden of the monks and the Belvedere with panoramic view on the Orcia Valley and the Radicofani fortress. 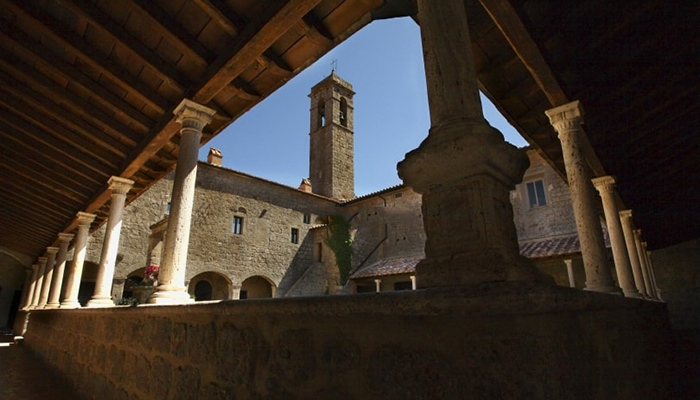 On the ground floor, adjacent to the cloister, there are the room of Saints in stone, the charming Chapterhouse with frescoes of the fifteenth century and the Great Refectory, with the original roof dating back to 500 DC. 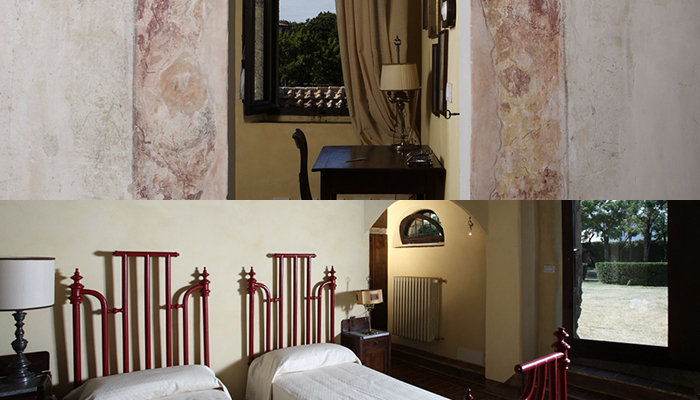 On the first floor of the convent there are 10 rooms and the refined Bridal Suite which open onto a large and impressive medieval hall with vaulted ceilings and the library. 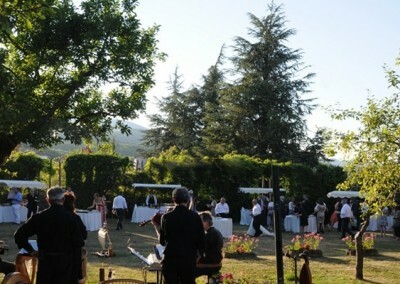 2 dependance overlook on the ancient garden instead. 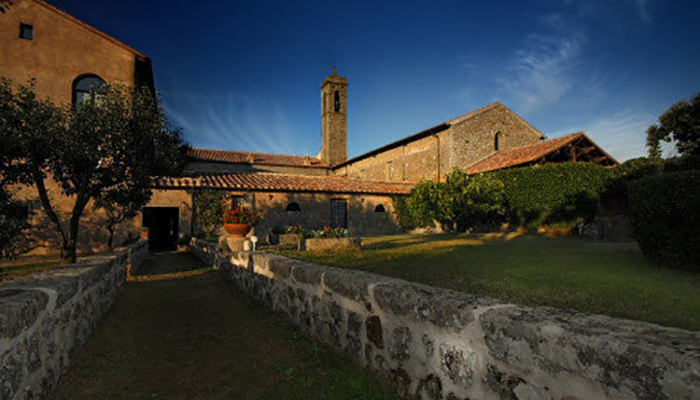 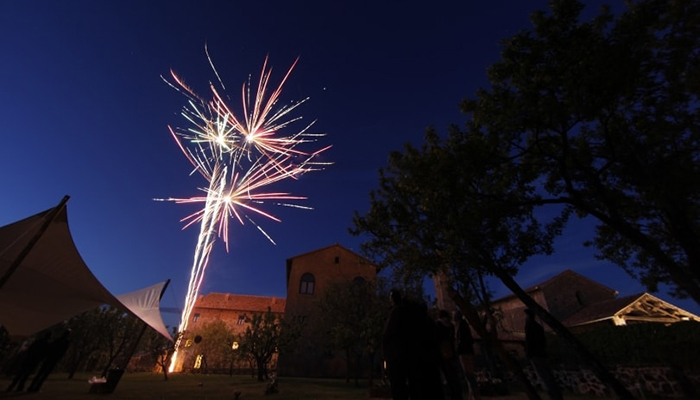 Next to the convent there is the church of San Francesco dating back to 1278 DC, where you can celebrate the religious ceremony. 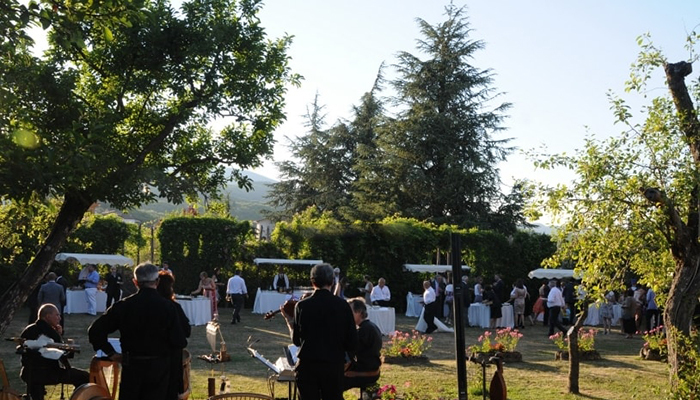 you can use all the spaces creating different areas for your wedding, from the aperitif in the ancient monks’ garden outdoors,to the dinner served in the Cloister. 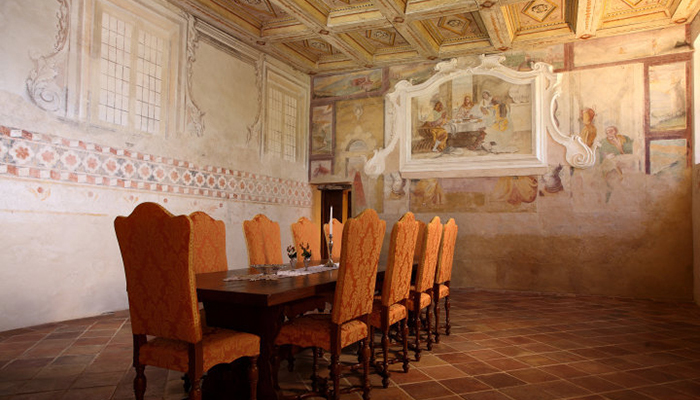 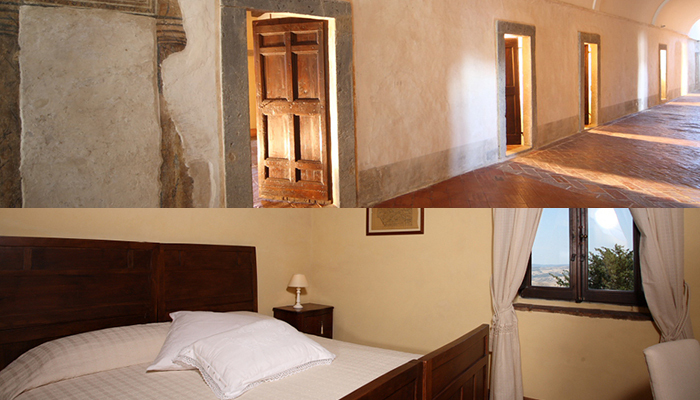 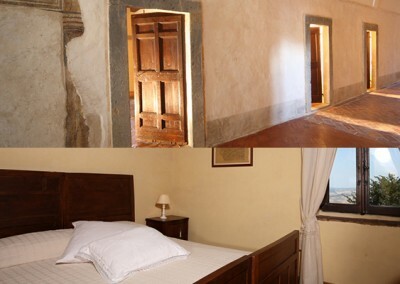 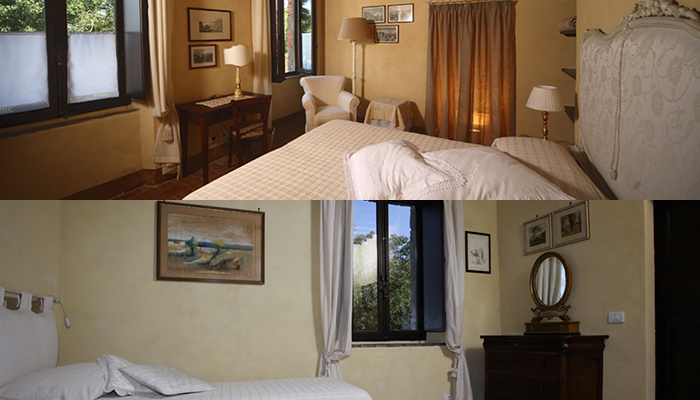 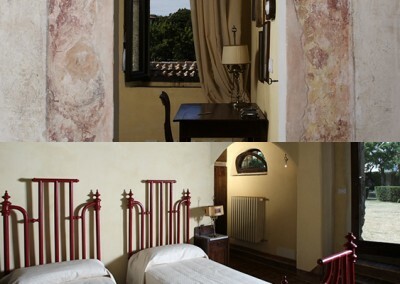 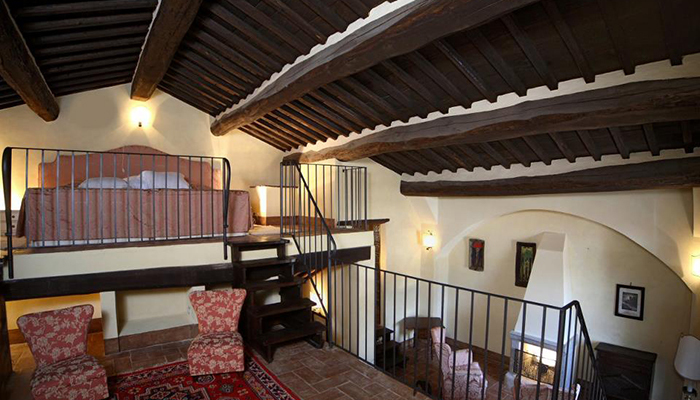 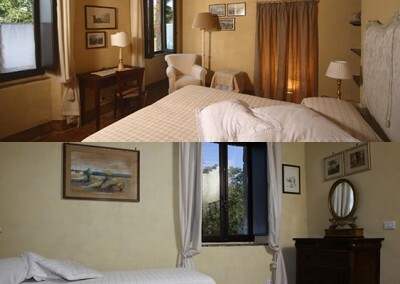 In case of bad weather, you can accommodate guests in the Great Refectory and in the room of Saints that trace the history of the monastery from the Middle Ages to the Renaissance with details of atmosphere. 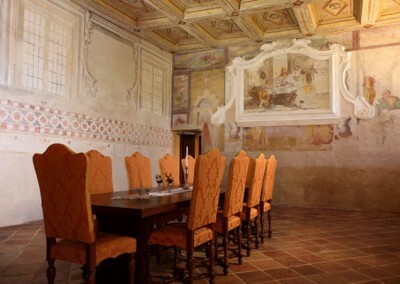 Indoor seating: Great refectory room: 50; chapterhouse: 25, room of Saints: 30. 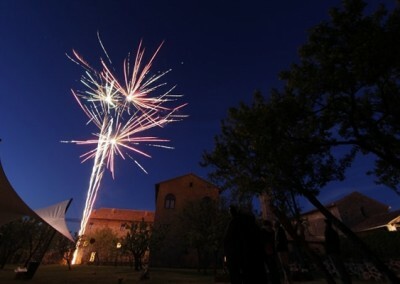 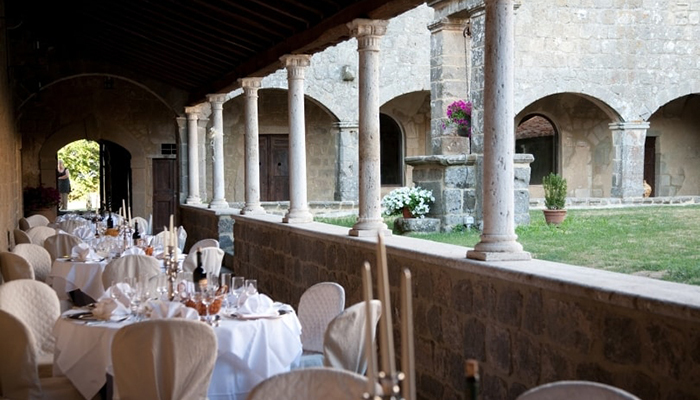 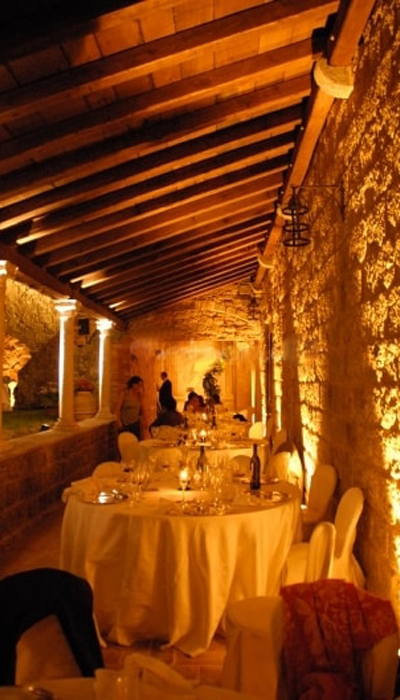 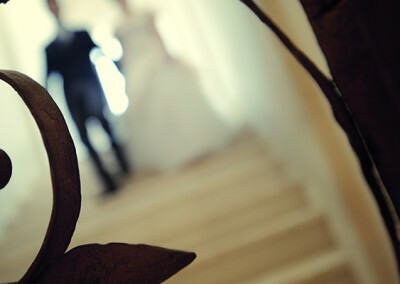 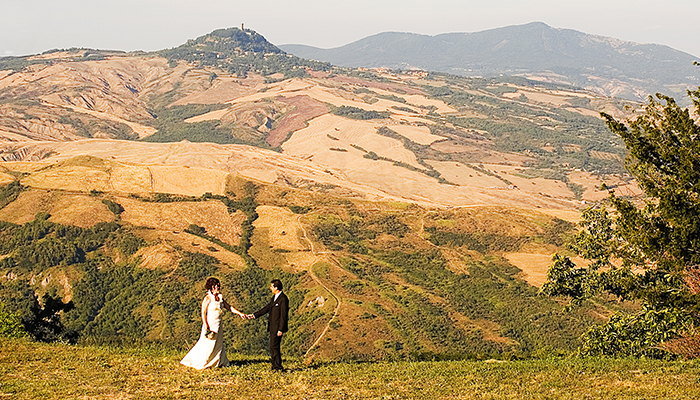 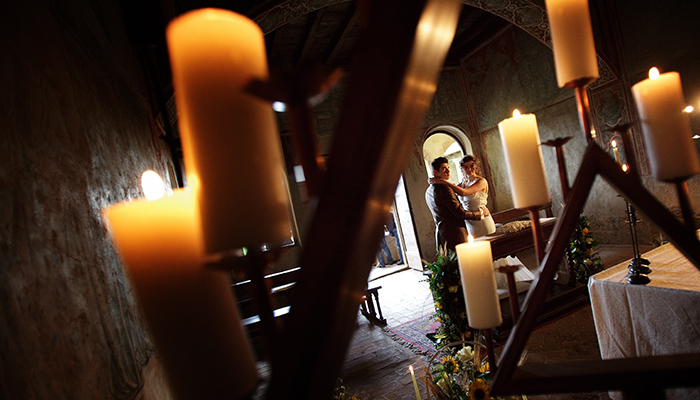 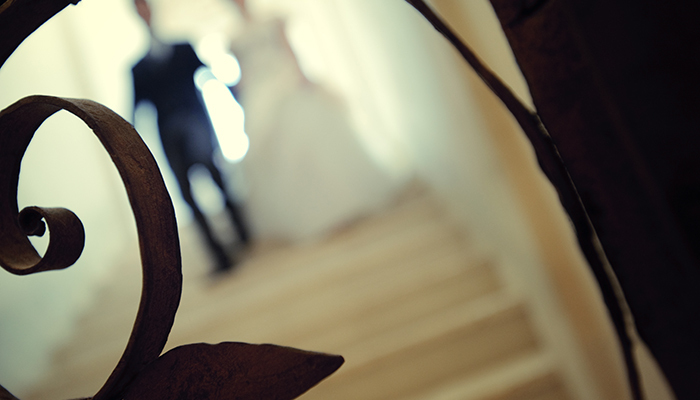 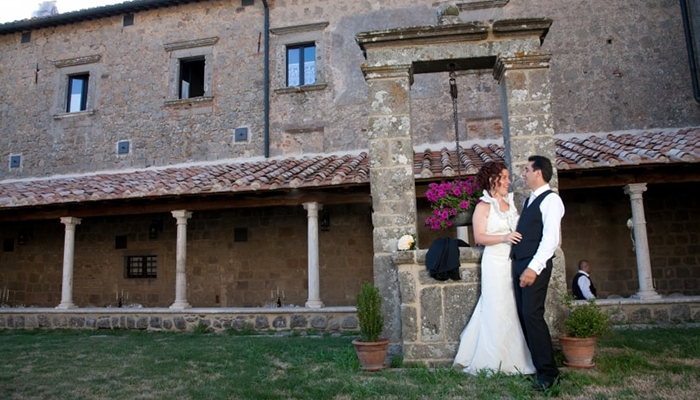 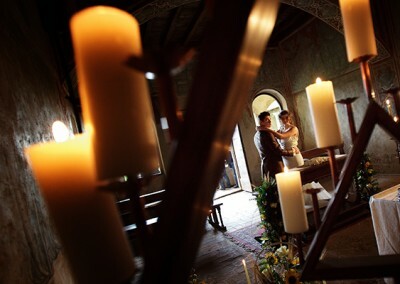 Places for the civil ceremony: directly at the monastery in one of the rooms indoor or at the Fortress of Piancastagnaio.